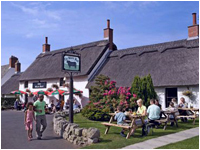 For a lovely, lively day out, visit Ford & Etal 3 miles away. The estate offers many interesting activities including Etal Castle, Ford Castle (where it is believed King James IV stayed during the Flodden battle) and Heatherslaw Mill. Take the very quaint steam train along the River Till from Heatherslaw to Etal. 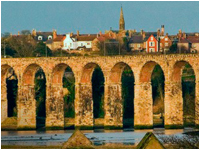 The Royal Border bridge spans the River Tweed and leads the East Coast Mainline into England’s most northernmost town. Berwick has seen many a struggle over the centuries as to who controls her. Elizabeth I commissioned the Ramparts and Quay Walls to defend the town, they remain fully intact today as a stunning reminder. 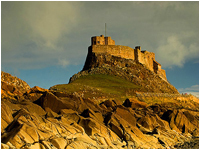 The Holy Island of Lindisfarne was a cradle of Christianity during the Golden Age of Northumbria. The Castle is an awesome site and the Norman Priory stands on the site of an Anglo-Saxon monastery founded by St Aidan in AD635. It is believed that Aidan chose the site because of its isolation and proximity to the Northumbrian capital of Bamburgh.